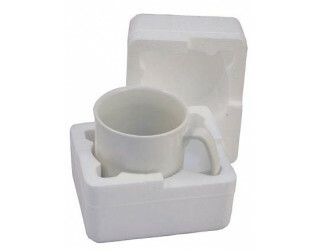 The most reliable performer of all mug packaging. Place the mug in the purpose-designed space that holds the mug steady. Absorbs post and transit shocks. Weighs mere grams to keep postage costs down. Comes complete with base and lid.